Beatles Weekend! Two Nights Only, Saturday, March 15 & 16. Sag Harbor, NY - February 4, 2019 - Bay Street Theater & Sag Harbor Center for the Arts is pleased to announce Beatles Weekend on March 15 and 16 at 8 pm. 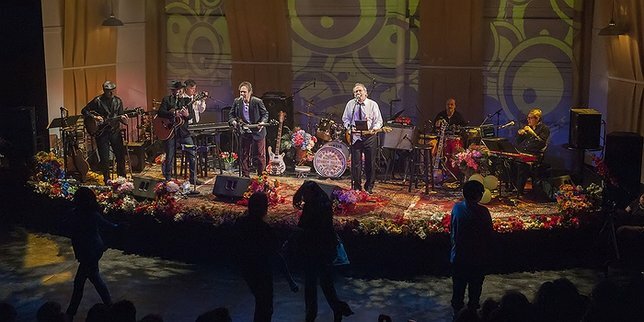 Featured on both nights will be The Beatles ’69: Let It Be and Abbey Road performed by The Moondogs in honor of the 50th anniversary of The Beatles final year of recording. The entire classic albums Let it Be and Abbey Road will be performed. The Moondogs (Dan Koontz, Jeff Levitt, Michael Schiano, Mick Hargreaves, Dave Giacone, Howie Silverman, Fred Gilde and Joe Lauro) will return to offer letter-perfect interpretations of those all-time classic recordings. Songs include Let it Be, Across the Universe, The Long and Winding Road, Come Together, Something, Here Comes the Sun, Carry That Weight and more. Tickets are $30 for each night when purchased in advance and $40 when purchased the day of the event; on sale now at baystreet.org or by calling the Box Office at 631-725-9500. The Box Office is open Tuesday- Saturday 11 am – 5 pm or until showtime. Subject: LongIsland.com - Your Name sent you Article details of "The Beatles ’69: Let It Be & Abbey Road 50th Anniversary Tribute Concert at Bay Street Theater"